Justice League #22 might be light on tension and drama, but it's an entertaining, breezy read held together by some fun character interactions. It’s fair to say that a lot of fans haven’t been pleased with the Justice League series of late, making it one of the least liked of the generally well-received DC Rebirth relaunch. If you’re one of those who were turned away by writer Bryan Hitch’s convoluted storytelling, then this is the perfect time to jump back in. Issue #22 introduces a new creative team and they deliver a fun, if undemanding, read with lots of lighter-hearted, comic book thrills held together by an enjoyable team dynamic. 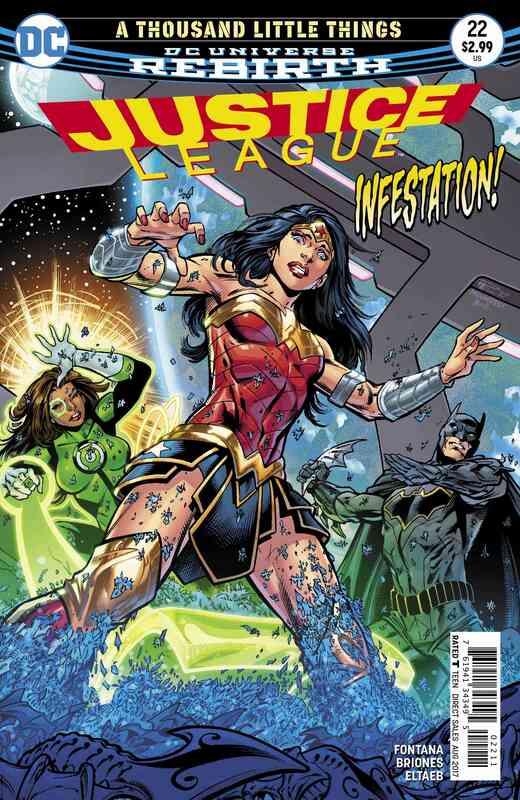 Justice League #22 sees the League quarantined in the Watchtower after Green Lanterns Simon Baz and Jessica Cruz accidentally let in a swarm of alien insects after dealing with an asteroid heading for Earth. It’s an entertaining run-through of the old ‘trapped in the bunker with the enemy’ story, even though the threat is very slight. We’ve seen the Justice League face a lot worse than some space bugs, after all. Not to mention that the story sees the team whiling away their time while locked up instead of solving the problem. 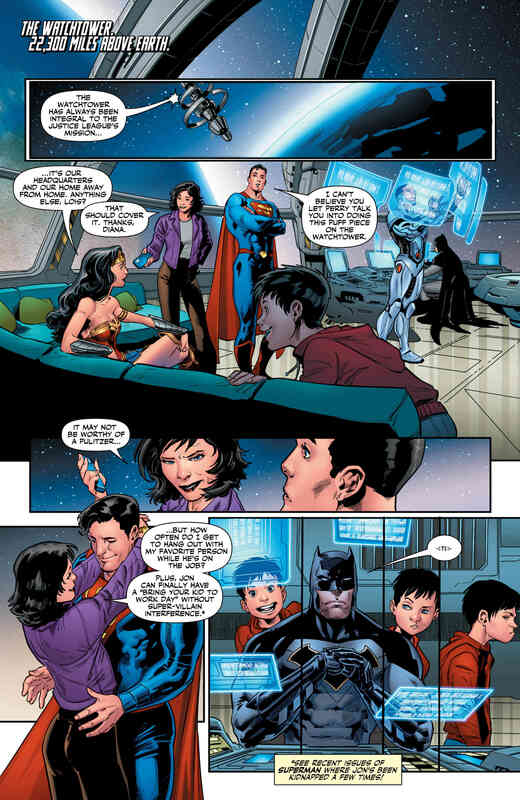 For instance, Wonder Woman and the Lanterns have a sparring session and Cyborg plays video games with Superboy. Still, that’s not much of a problem, as the enjoyment of this issue comes from seeing how the team interact when they’re stuck inside together, like kids on a rainy day. 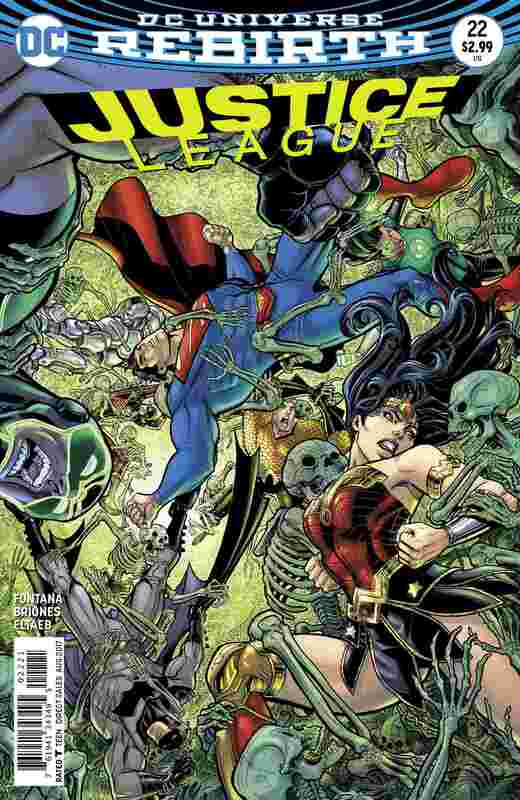 The roster for this issue is Superman, Batman, Wonder Woman, Cyborg and the two Green Lanterns, with Flash and Aquaman cameoing via hologram. 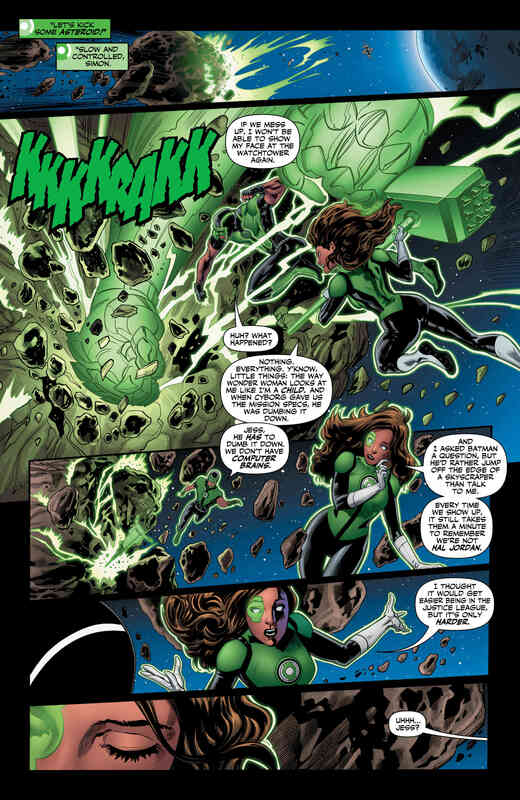 While Supes, Bats and Diana, in particular, get a good wedge of the action, the protagonists of the issue are the Green Lanterns. Simon and Jessica are still the new kids on the space station and this issue explores their feelings of inadequacy and insecurity about their places on the team. 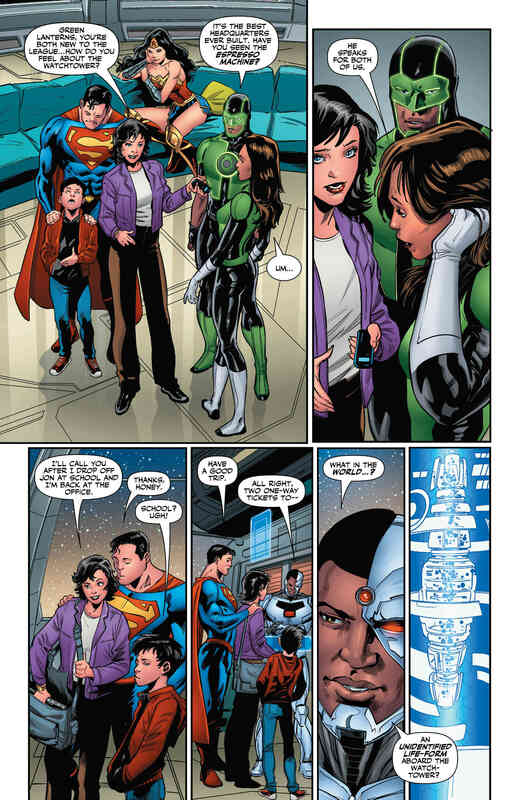 Fans of the current run of Superman comics will also appreciate the appearances from Lois Lane and Jon ‘Superboy’ Kent here. Lois even manages to get a smile out of Batman when she finds out the truth about these alien insects. Not many people have that honour, Lois. Shea Fontana takes over writing duties for this issue, and fans of Wonder Woman will want to pay attention here as the writer is about to take over from Greg Rucka on the Amazon’s solo book very soon. 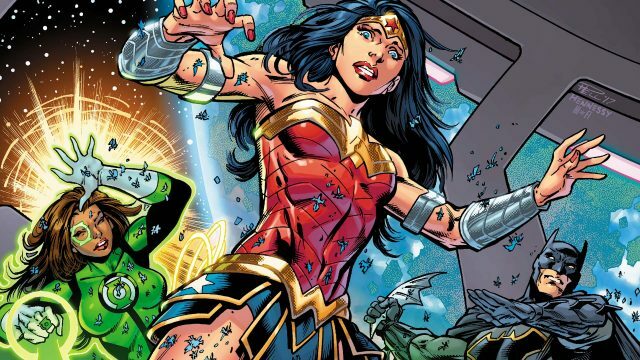 This issue bodes well for that transition, as Justice League #22 is a fast-paced yet character-led read (even if Wonder Woman doesn’t get a lot to do). Artist Phillipe Briones is also new to the book and delivers a strong debut. 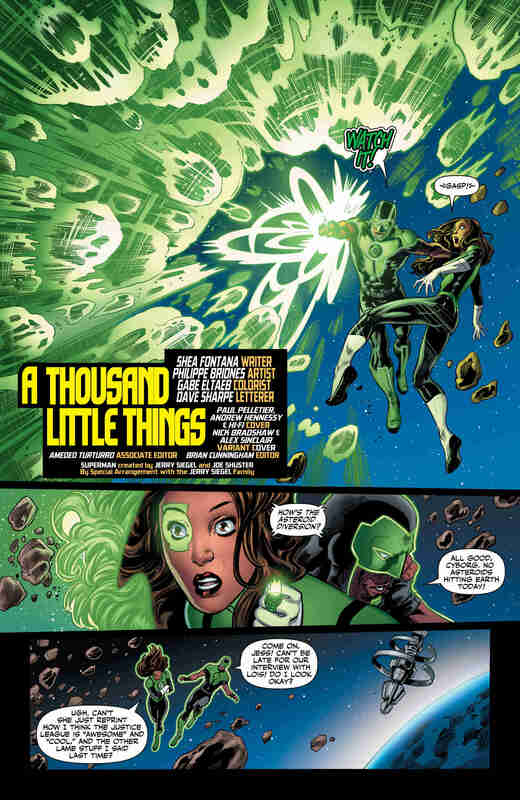 The issue opens with an exciting and visually engaging opening sequence, as Simon and Jessica face down an asteroid, but Briones is also solid with the smaller stuff, too, such as facial expressions or moments of visual humour. 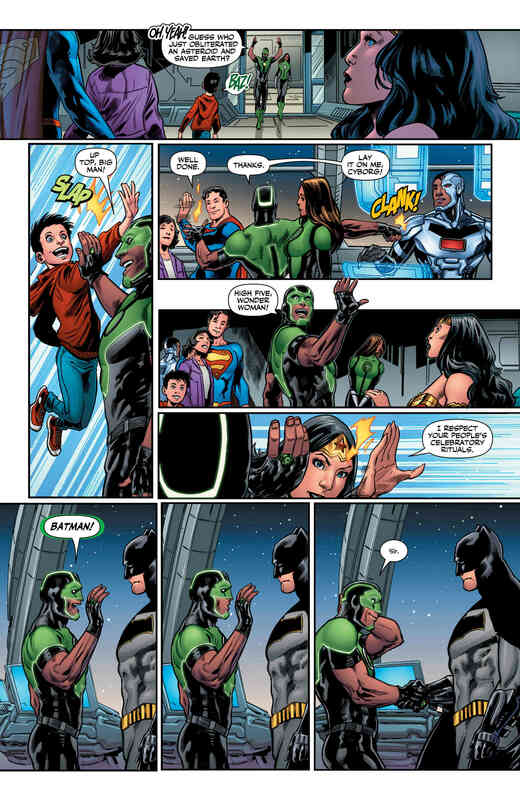 The funniest part of the issue has to be when Simon goes to high-five Batman but all he comes out with is a handshake. Justice League #22 might be light on tension and drama, but it’s an entertaining, breezy yarn, with a lot of fun to be had from the interactions between the characters – not to mention a welcome guest spot for the Super family, too.